Does the new year have you wishing for a new smile? Talk to your dentist about options such as whitening, veneers, and Invisalign. In this post we’ll look at each of these treatments. Use these facts along with your dental professional’s guidance to make informed decisions for yourself. Are you looking for a simple, effective way to make your teeth look brighter in the minimum amount of time? If so, then teeth whitening may be the choice for you. This approach can remove years of blemishes and discolorations, restoring much of the natural shine that time has taken away. Please don’t confuse this option with so-called “whitening” toothpastes or other over-the-counter products. This method uses prescription-grade formulas available only from a dentist. You can choose between in-office treatments or take-home kits, depending on your schedule and personal commitments. Either way, you’ll achieve professional results for an affordable price. Your dentist will create a series of digital images of your teeth. He or she will also gently etch the front of each tooth with a special medical-grade solution. The information from the images will go to a dental lab that will craft the actual restoration. Once the veneers arrive, you’ll go back to your dentist to have them fitted. He or she will check multiple times to ensure a good fit and may perform some minor modifications. Once everything looks perfect, the last step is to apply a special light-activated medical adhesive that bonds the veneers to the front of your teeth. At the end of the second treatment you’ll be able to show off your new smile to the world. Veneers are a great option for erasing the effects of stains, discolorations, chips, cracks, gaps, and uneven spacing between the teeth. They’re a popular choice for Hollywood celebrities who trade on their looks. But you don’t have to be a movie star to make them work for you. Sometimes cosmetic concerns also have functional consequences for the patient. This is certainly the case when it comes to tooth alignment issues. Not only can they affect your looks, they can make oral hygiene more difficult, cause headaches, and even contribute to back and neck discomfort. Invisalign aligners are an effective way to correct these problems without the drawbacks of traditional metal braces. The patient simply wears the aligners throughout his or her day, removing them as needed to brush, eat, and perform other essential tasks. The entire course of treatment typically takes about 12 months. Once it’s complete, the wearer only needs to use a nightly retainer to maintain the benefits over the long term. 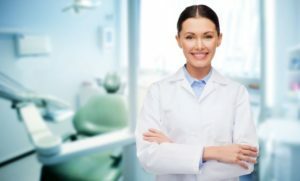 Only a licensed cosmetic dentist can recommend a specific treatment option for you. Make an appointment to see one of these professionals in your area soon. You’ll soon find yourself with plenty of reason to smile. Dr. Megan Edwards is a native Floridian who now calls the Orange Park area her home. Dr. Edwards earned her DMD degree from the University of Florida School of Dentistry. A capable general dentist, she’s also skilled in cosmetic procedures such as veneers. You can reach her office online or by calling (904) 272-0800.